Luxury awaits you in this beautiful resort-style condominium without having to pay the luxury prices. 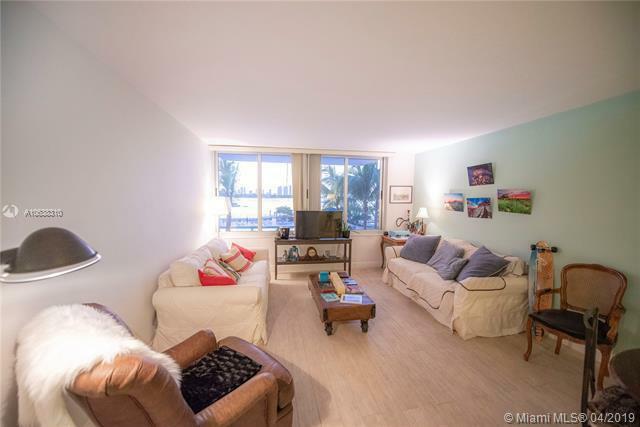 Centrally located 600+ square feet; naturally lighted, studio unit overlooking the North/East side of South Beach, including views of the ocean. Kitchen and bathroom includes granite counter tops and wood cabinets adding to its overall look. Large side to side hurricane impact windows bringing in all of the natural light needed without having to turn on lights and still giving you wonderful views of South Beach. Amenities include: pool, sauna, lounging areas, BBQ, state of the art gym; overlooking the pool, business center, game room, valet, small grocery stores for emergency items, phenomenal bay views, etc. OWNER FINANCING AVAILABLE, thus making it easier to purchase. 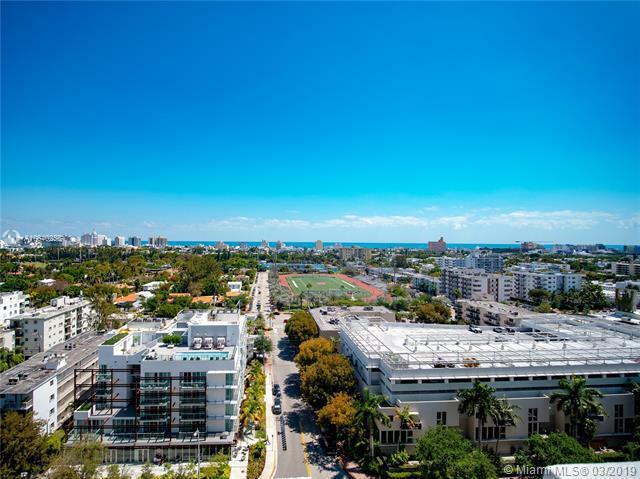 Spectacular Skyline View in this Large Unfurnished Penthouse Studio in the heart of South Beach. Brand new Impact Windows. Upscale resort style building with tons of amenities, which include pool on Biscayne Bay, Fully equipped gym (one of the best on Sobe), Convenient Store, Hair Salon, Sauna and hot tub, full-time front desk staff, security, valet parking, and much more in this prime South Beach location. Walk to Wholefoods, Starbucks, Restaurants and more... Must see! Studio at Mirador 1200, Tenth floor studio facing North and West Ave., Sold in as-is conditions. The building has everything to offer - Convenience store, beauty salon, Gym, Valet, 24 hours doorman, pool, jacuzzi, dry cleaners and more. Walk to restaurants and shops. Walk to Lincoln Rd. No balcony. 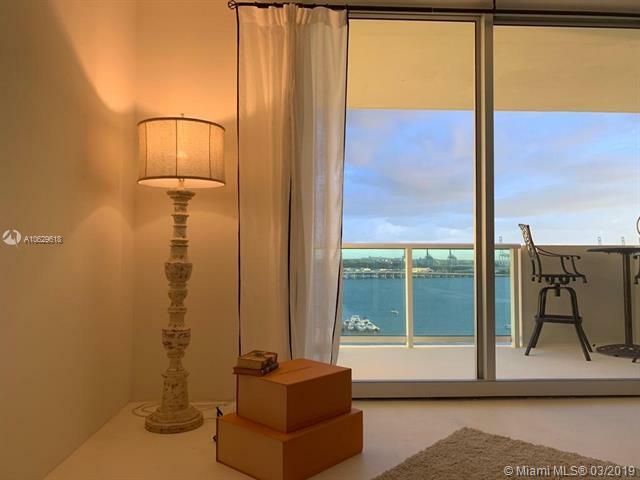 Spacious and Bright studio overlooking Biscayne bay skyline! Direct Water View of Biscayne Bay, & Star Island. Enjoy all amenities, great location on West Ave, Partially renovated and awaiting your final details. 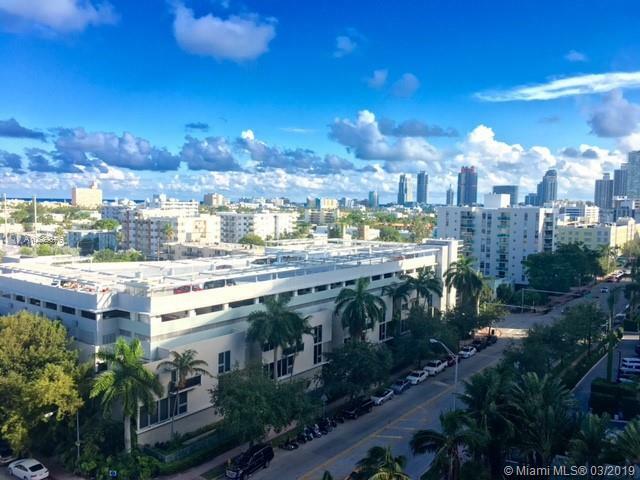 Beautiful studio, street view, new windows, full service building, convenience store, hair salon, fitness center, pool with bay view, walking distance to Whole Foods, restaurants, Walgreens, Lincoln road, beach. HOA includes maintenance and internet. Very close to mc Arthur causeway. 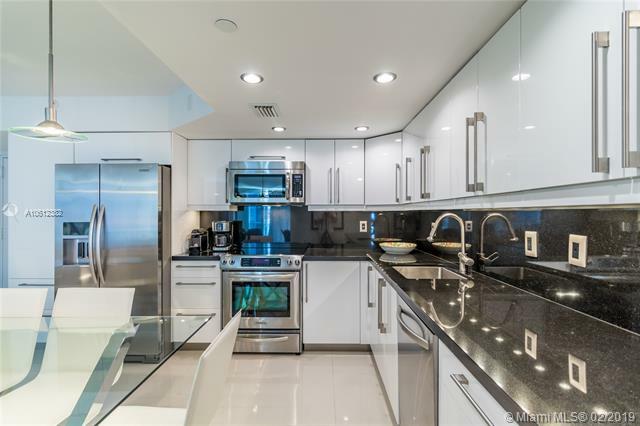 Minutes from Downtown, Brickell and Design District. Unit rented, with possibility to terminate, with 3 months notice.Association Fee $500/month plus Assessment $240/month. SPECTACULAR 11th FLOOR OCEAN VIEW STUDIO UNOBSTRUCTED FLAMINGO PARK & OCEAN VIEWS COMPLETELY REMODELED NEW EVERYTHING, KITCHEN, AC UNIT, NEW 24x24 PORCELAIN FLOORS, NEW BATHROOM ITALIEN SHOWER, LARGE QUARTZ COUNTERTOP, TURN KEY, SPACIOUS CLOSET, OPEN BALCONY, NEAR RESTAURANTS AND SHOPS, LOTS OF AMENITIES, HEATED POOL, CONCIERGE, GYM, GOURMET MARKET, POOL TABLES, BUSINESS CENTER AND MUCH MORE. 24 HR SECURITY, VALET $50 PER MTH, EASY TO SHOW. 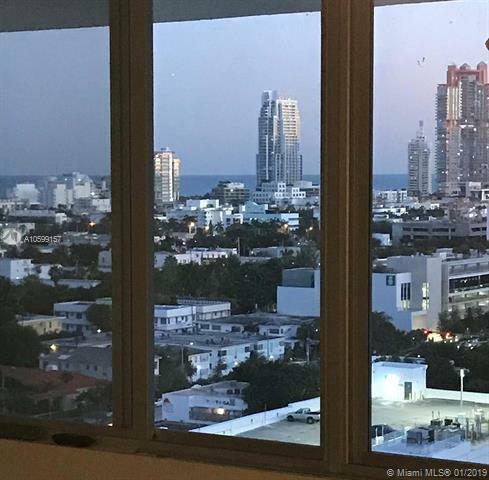 Calling all Investors, great opportunity to own a unit at the Mirador North Tower.This spacious 1 bed 1 bath has hurricane impact windows and doors and great city views. Sold Furnished. Building amenities include gorgeous lobby, bayfront pool, state of the art fitness center, convenience store, 24 hour security, front desk, concierge and valet.Located in the West Avenue corridor close to Wholefoods and all the neighborhood restaurants and cafes.Currently rented out until 10/17/19. Will not last - Call listing agent with 24 hours notice. 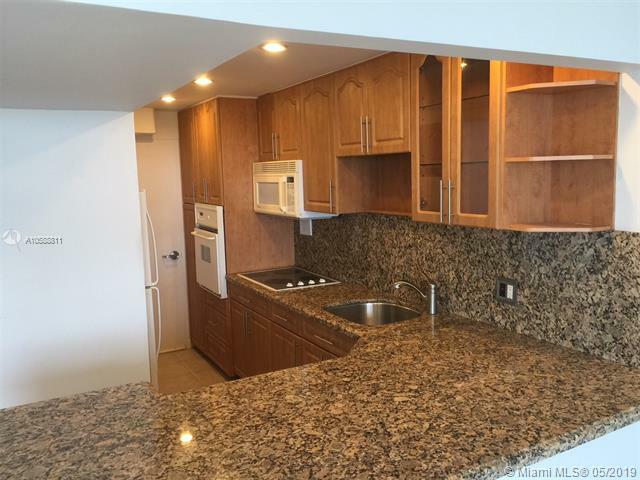 Beautifull modern renovated unit 1 bed , 1 ,1/2 bath (723 Sq.Ft) , features porcelain flooring, update kitchen with SS appliances, brand new impact windows & sliding doors , blackout & shades. Residents at this boutique building are privileged to enjoy amenities of Mirador South like 5000 SqFt gym, bay-front pool, jacuzzi, ane assigne parking , Pets welcome . Direct, wide bay views from this high floor studio. Watch the cruise ships pass from your spacious terrace. This apartment comes with a walk-in closet and new impact sliding doors. The Mirador is a full-service building with a heated bayfront pool and Jacuzzi tub, newly equipped fitness center, convenience store, and 24/7 security. Valet parking is available for $50/month. Walk to Whole Foods, many restaurants, the park, and Lincoln Road. 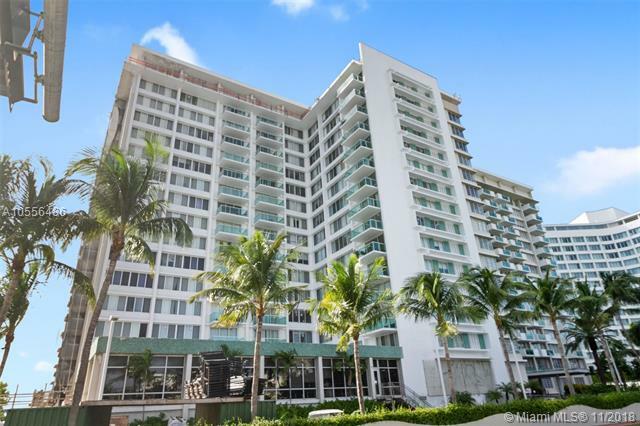 BEAUTIFUL STUDIO ON THE MOST DESIRED AREA IN SOUTH BEACH, EL MIRADOR BUILDING LOCATED ON THE BAY, AMAZING WATER VIEWS, OUTSTANDING STATE OF THE ART AMENITIES. UNIT ON AMAZING AMENITY LEVEL LOCATION! DIRECT ACCESS TO POOL AND MAJOR OUTDOOR AMENITIES INCLUDING A MARINA WALK WAY AND MORE...EXCLUSIVE UNIT FEATURES PRIVATE ENTRY TILE FLOORS THROUGHOUT, EXCLUSIVE AND PRIVATE PATIO SPACE THAT ALLOWS SUMMER KITCHEN/ BBQ/ ETC. PERFECT FOR ENTERTAINING QUESTS AND ACCESS TO EVERYTHING! IT WONT LAST LONG! CAN RENT IMMEDIATELY! GREAT FOR INVESTORS! Miami Beach is one of the most recognizable cities in the world. 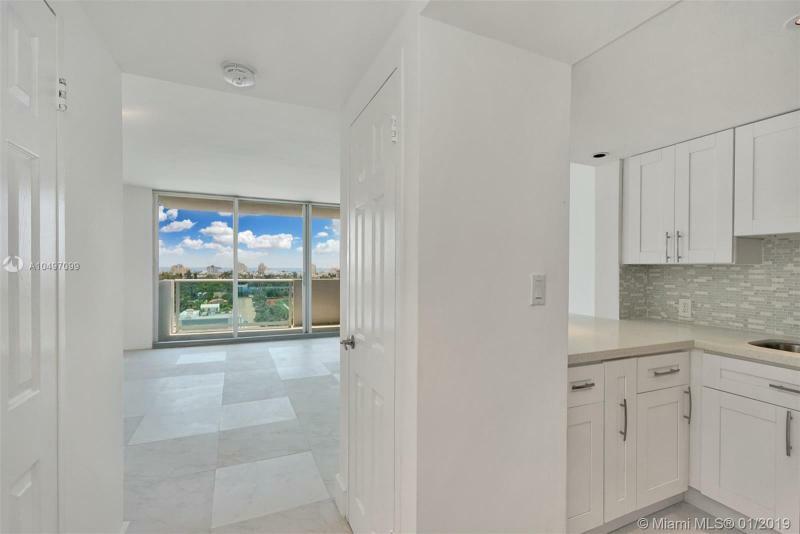 This is your opportunity to own a Pied-a-terre on West Avenue at the Mirador located right on the Bayside of South Beach. The gym is spacious and the pool is sitting on the bayfront of the most stunning skyline evening views and sunsets of Miami. 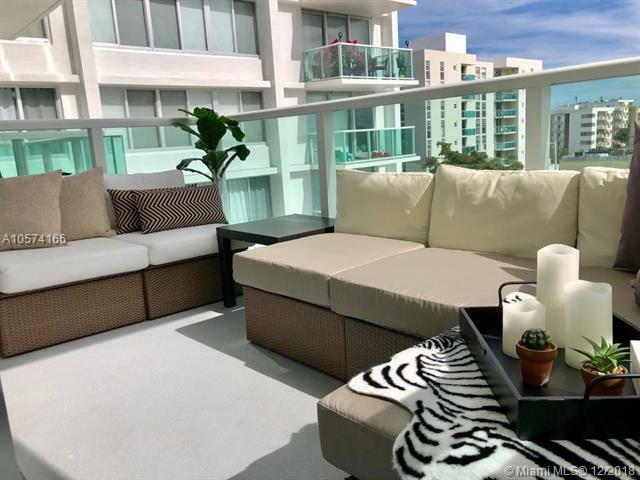 Location of this unit is conveniently located 4 blocks away from Lincoln Road. You have cafes, restaurants, and entertainment within 4 minutes: Rosetta Italian bakery, regal cinema theatre, Nespresso, Zara, Nike, Gelaterias, etc. Also, its a 10-minute walk west to the most famous sandy beaches of the Atlantic Ocean where you can swim all year round. 3 blocks away from Flamingo Park where you can enjoy the outdoor facilities such as tennis courts, pool, baseball,& basketball courts. 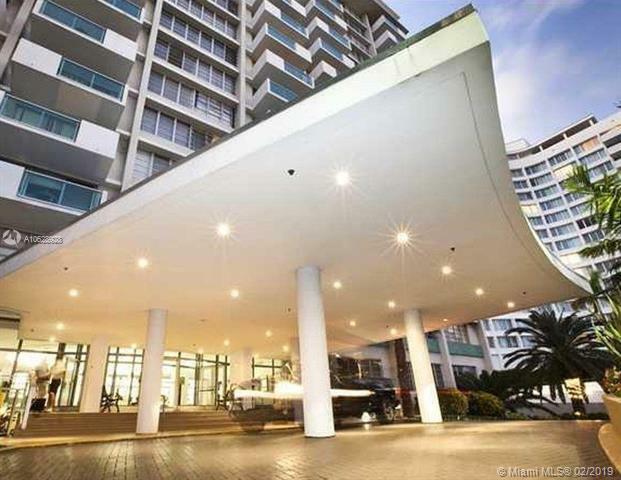 BEAUTIFUL UNIT- 1 bedroom 1 bath, 837sq ft unit with balcony at the Mirador North. Enjoy Bay/Ocean views and spectacular sunsets. Mirador is a full amenity building with bay front pool, modern gym, recreation room , 24/7 concierge, and valet parking. Cable and internet included in maintenance. Great location close to Lincoln Rd, Shops, Whole Foods, Publix, Restaurants, and more. Dont miss this opportunity in a great bldg. and well managed. BE THE FIRST to live in this large open studio of 543sf nearing completion of total renovation. 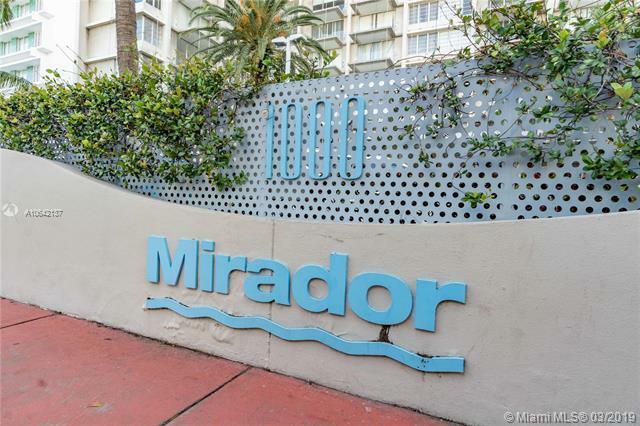 Highly sought-after Mirador 1000 full-service building. Across from Whole Foods, cafes and restaurants. Unit has stunning direct bay/port/downtown views. Bright but no annoying direct intense afternoon sun. Totally new modern bathroom. Large open kitchen done from scratch with high gloss white laminate cabinets, stainless steel refrig, range and dishwasher. Eat-at white quartz bartop w bar stools. Modern stainless steel track barn doors in bathroom and master closet. Waterproof gray laminate planks thru-out the entire unit. Furnished modern minimalist. Queen bed, working desk, large LED HDTV and console cabinet. Cable and Internet included. Large and plentiful closets. Beautiful studio with direct bay views. Great layout and good amount of closet space. Excellent location. Building offers lots of amenities: 24 hours concierge, security and valet parking. Walking distance to the beach shopping, dinning and more. Stunning direct bay views. 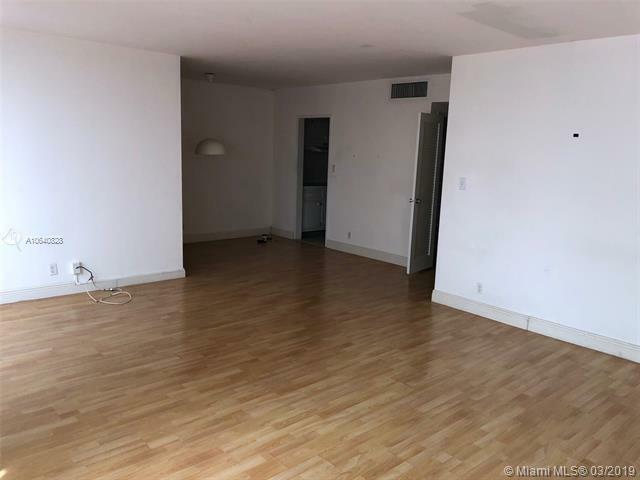 Totally renovated spacious unit with lots of natural light. Cable, internet included in maintenance. New A/C unit. Just across the street from restaurants and minutes away from Lincoln Rd and the beach. Oversized 1 bedroom 1.5 bathrooms, 990 sq ft corner unit with balcony at the Mirador North. Ocean and city views. White porcelain floors throughout. Granite countertop in the kitchen. Lots of closets space . Cable ,internet , gym included in maintenance. New impact windows are paid for. Mirador is a full amenity building , with bay front pool , modern gym, party room , 24/7 concierge and valet parking. Great West avenue location close to Whole Foods. Valet parking available at $50 for the first car. Dont miss this one . Priced to sell !!! Very bright and spacious unit with a large open balcony. Nice views of the ocean and Miami Beach Skyline. The Mirador is a full service building with heated pool, convenience store, BBQ area, spa, and hair salon. Building has 24 hrs concierge and security, fitness center, sauna, cable & internet. Walking distance to restaurants, Whole Foods, Lincoln Rd, Ocean Drive & South Beach. Imagine an idyllic sanctuary nestled in a private enclave in South Beach where fine living, serenity & nature meet. The Mirador unit 831 is the perfect place to call home; a haven of pure beauty, exceptional architecture & design with tranquil water views. Every room is meant to interact with the water. The heart of the home is the newly redesigned chefs kitchen and living room. The Master Suite includes a spacious bedroom, stunning bathroom & majestic intracoastal views with breathtaking sunsets. The state of the art gym & resort style pool are magical. The Mirador is just minutes from famous Lincoln Road, The Design District, Wynwood and the Arts and Entertainment neighborhood where Miamis cultural epicenter, luxurious retail and extraordinary culinary experiences await. Fully renovated 1 bedroom with both bay and ocean views. This rarely available apartment has great views of both the bay and the ocean. Enjoy both sunrises and sunsets. Apartment has been fully renovated...kitchen, bathroom, and freshly painted. Enjoy the 5000 Sq Ft gym and newly redone pool deck. There is no better view in Miami. The Mirador is located on trendy West Avenue and is just steps to Lincoln rd, Whole foods, Nightlife, and World Famous Lincoln Rd. Price includes $34000 special assessment paid by the owner for the major renovation and upgrade to the the building. renovation includes new facade, all glass balconies, hurricane impact windows, new lobby, pool and elevators. Best deal on West ave!! BEAUTIFUL UNIT- 1 bedroom 1 bath, 837sq ft unit with balcony at the Mirador North. Enjoy ocean views and spectacular sunsets. Mirador is a full amenity building with bay front pool, modern gym, party room , 24/7 concierge, and valet parking. Cable and internet included in maintenance. Great location close to Whole Foods and Starbucks . Dont miss this opportunity. Priced to sell !!! Over-sized 1 bedroom with 1.5 baths. Open balcony, great layout, excellent location. New impact windows and more. 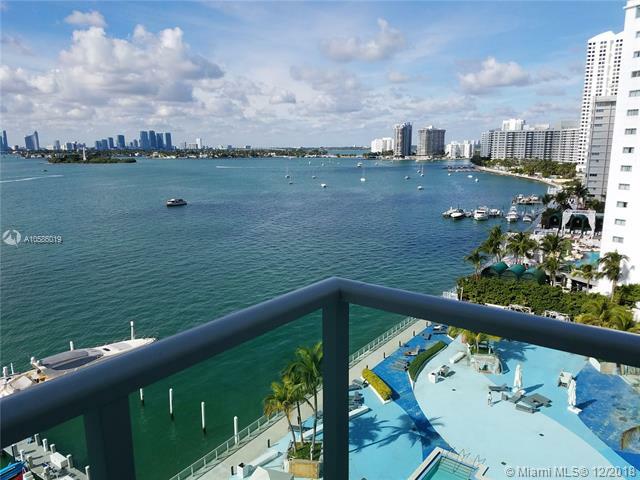 Breathtaking views of Biscayne Bay and Star Island from this spacious 1 Bedroom/1 Bath at the Mirador North on trendy West Avenue. Full service building with 24 hour concierge, valet parking, bayside marina, heated pool/jacuzzi, recently renovated state of the art fitness center, grilling area, and onsite market. Cable, internet, and water included in the HOA. Walking distance to Flamingo Park, Wholefoods, Lincoln Road, and upscale shopping & dining. Unit can be purchased with a covered parking space. 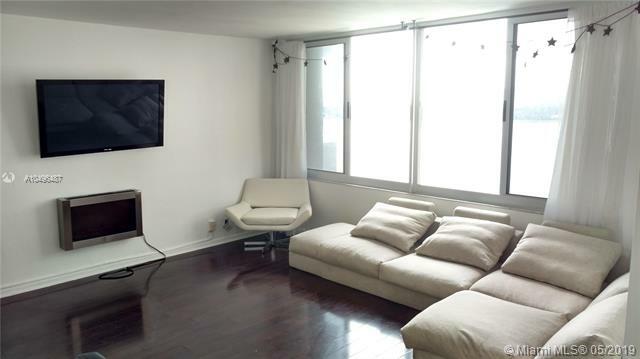 Lowest priced renovated one bedroom, 1 bath in Mirador 1200. Open modern kitchen quartz counter tops. New porcelain tile wood floors throughout. Glass paneled doors. A/C was replaced in 2015. Nice private unobstructed views of Miami beach and the ocean. 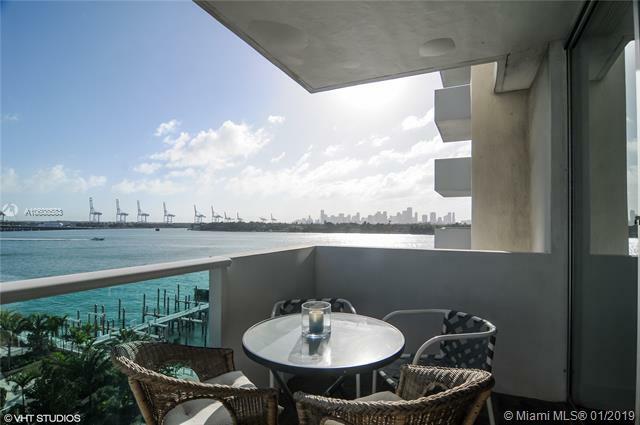 Renovated CORNER UNIT in the infamous waterfront Mirador 1200 located on 12th and West Ave. This spacious 1/1 has been renovated with an opened Kitchen with added cabinets, a built in office nook, WASHER AND DRYER, tons of natural light from the extra windows which overlook beautiful city and OCEAN VIEWS. The balcony provides views of both the Bay to the West and the city and Ocean to the East. Impact windows and doors throughout! Unit comes with one garage parking space valued over $20,000. Great location within walking distance to all shopping, dining, nightlife, grocery stores and the BEACH! Completely remodeled with no expense spared! Gorgeous two bedroom high floor residence on sought after West Ave! Mirador East is the best of both worlds, the tranquility of a more intimate boutique building while enjoying all of the amenities of the Mirador South without the extra fees or assessments. Fall in love with this bright and spacious home which offers a fully equipped kitchen including stainless steel appliances, high impact windows and doors, walk-in closets and a large balcony with some bay views. This quiet building offers swimming pool, jacuzzi, gym access and an assigned gated parking space. Walking distance to Whole Foods, shopping and restaurants. Sold turnkey with most furniture and furnishings.